I've been working on a lot of race planning over the last month one of the events I can talk about is the Keswick Mountain Festival Trail races. The courses have been designed with all runners in mind. I've tried to allow for some really spectacular running in some of the most beautiful valleys in the Lake District. Its possible, that Borrowdale has some of the best trail running in the UK & when you combine that with Buttermere, Newlands & Watendlath, you get some pretty special courses. 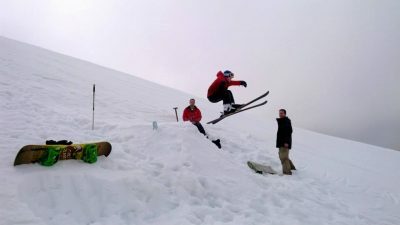 Lets take a closer look at the courses planned. The 10k is an entry into the world of trail running. As with all the courses, you get a spectacular boat ride from the KMF Events centre at Crow Park, Keswick to Low Brandlehow, where the boat drops you off on the jetty. The start location is here. Once started you head south on some open trails through Brandlehow Park along the shores of Derwent Water. This leads you through Manesty Park to the road between Newlands & Grange. A quick jaunt on the road & your then heading back south along the east flank of Cat Bells on the Allerdale Ramble footpath. Great scenic running takes you to the north end of Cat Bells, where you then take great trails all the way to Keswick, passing to the east of Portinscale, still on the Allerdale Ramble. Just before hitting the main road out of Keswick, you head east through some fields for the final road section into Crow Park. This race will be great for either they folk wanting a super fast 10k time, or an entry into the joys of trail running & racing. The 22k trail race is a step-up & a half from the 10k, and will give the people who complete the 10k this year (2014), something great to aim for in 2015. All routes start with the spectacular boat ride to Low Brandlehow & then follow the scenic woodland running along the shores of Derwent Water through Brandlehow Park. Once Manesty Park is reached you turn left to head east along the head of Derwent Water and the Borrowdale Valley Road. On reaching the road, you turn right & head south until your able to cross the road, marshals will be present, and head up through the woods in to the beautiful Watendlath Valley. Great single track running is then followed up the Watendlath valley until you reach the tarn, where you now turn right & head on a wide bridal way track up Puddingstone Bank & back into Borrowdale. The view from the head of this pass are second to none in the Lakes. A quick descent will take you down to Rothwaite & another road crossing, where marshals will be present & drinks/feed station will be situated. Great lowland running along good tracks now takes you back north to run though the woods on the east flank of Castle Crags & the campsite situated near Grange. A quick direction change west takes you up the road through Hollows farm & fantastic single track running behind Sawnesty How, High Close & along Yewdel Knott. You rejoin the road at Manesty, heading north to Manesty Park, re-tracing about a 1/2km until a different track can be taken through Bandlehow Woods & past Hawes End Outdoor Centre. The route then meets up with the 10k & you follow the same fast & exciting finish past Portinscale, the fields & into Crow Park for all your glory! The 42k is the daddy of the 3 courses. Its entails some of the best & most scenic running in the Lake District, encompassing 3 of the most spectacular & beautiful valleys the Lakes has to offer. Again is a big step up from the 22k, but it really gives you something to train for and after completing this race, you'll be ready for anything the UK trail running scene has to throw at you. Again, starting with the spectacular boat ride to Low Brandlehow you head through the woods of Low Brandlehow, Manesty & hit a short, but quick road section to Grange, here you take the metalled road up to the campsite & follow the reverse of the 22k. We will have the starts staged so that you are not meeting other runner head on. Great val;key bottom running takes you past Rossthwaite & a right turn brings you through Seatoller & up to the first real climb of the race of Honister Pass. Once Honister is gained you will hit your first feed station at the top of the road section. From here you take the dismantled tramway of the old mines of Honister Slate Mines, which is a good track, on to the fell proper. This section will be fully marked. Once at the summit of the pass, you will swiftly descend on a very technical rocky track into the head of Buttermere and along Warnscale Bottom, a good track then takes you round to Gatesgarth Cottage/Farm & big wide open trails take you along the south west shores of the beautiful Buttermere. At the head of the lake, you turn north west & run into Buttermere, taking a short road section until is it possible to take a good grassy track on to the south west flanks of Rannerdale Knotts, here you will be afforded amazing views of the west Buttermere fells & the very swiftly your next drinks/feed station. A right turn & again, takes you into the less travelled mini valley of Rannerdale & then start of your second long climb of the day. Great technical single track running takes you north along the flanks of Whiteless Pike & Sail tot he pass between Sail & Ardcargs, this is very remote & amazingly scenic. Prepare to be blown away by the views & feel of this section! A quick & technical descent on a rocky single track footpath now takes you into the Newlands Valley & a quick road brings you to tyne final drinks\feed station. After this a fast trail section winds you past Low Snab Farm & the small settlement of Little Town. 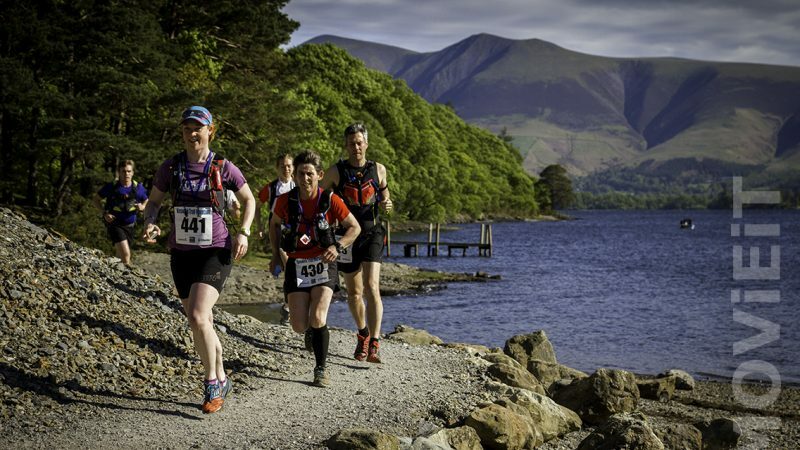 Trails now take you along the west flank of Maiden Moor & Cat Bells to join up with the same finish as the 10 & 22k races. This route will literally blow your mind & your legs at the same time & leave you with lasting beauty in your memories & minds eye. I will be posting more photo's of the routes as soon as the weather gods decide to give us a high pressure in the Lakes. We've had it booked for a while, but they seem to be failing us so far! I've been pretty busy with race planning over the last few months.